Your car buying experience should be a smooth one. 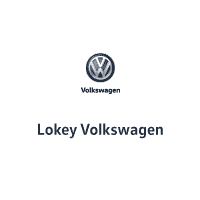 That’s how we feel at Lokey Volkswagen and we make it our priority. That includes taking some of the shrouded mystery out of auto financing. Our team of Volkswagen lease and car loan pros are here to do that, and with their passion for the job, it will be clear to you. They do their best to find the most beneficial terms for you, and negotiate the right car loan and Volkswagen lease rates for you, ensuring satisfaction. To learn more, submit an application from our website online. We also are free to meet face-to-face in our new Volkswagen showroom, located at 27850 U.S. Highway 19 North in Clearwater, Florida – not far from the surrounding Palm Harbor, Largo, Tampa and St. Petersburg areas.